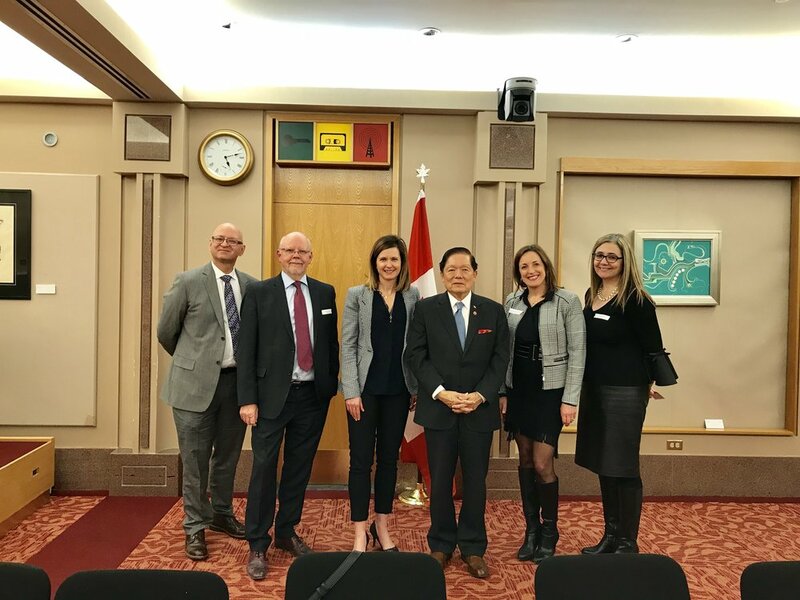 On January 30 th , CAPHC and the Paediatric Chairs of Canada, in partnership with Senator Victor Oh, hosted a Senate Panel Discussion on Parliament Hill to help inform the legislation which will shape Bill C-45 (“The Cannabis Act”). The bill will control and regulate how cannabis is grown, distributed and sold. Bill C-45 was introduced in the Senate and given first reading on November 28, 2017. It was passed in the House of Commons on November 27, 2017. The bill is being debated at second reading in the Senate. While neither CAPHC nor PCC hold formal positions on the legislation, we share an interest and a passion for supporting any policy, legislation or regulations which reduce harm or enable the health of children and youth across Canada. Leveraging the expertise of our collective membership, we identified four individual subject matter experts who brought research and evidence, personal and patient stories, and international experience to bear as they each took the opportunity to share their perspectives on the legislation. Our expert panel consisted of Dr. Michael Rieder, Chair of Pediatrics (Western University) and Chief of Pediatrics (The Children’s Hospital at London Health Sciences Centre), Dr. Christina Grant, Professor, Department of Pediatrics, McMaster University, Dr. Jean-Yves Frappier, Chair of Pediatrics, Universite de Montreal, Chief of Pediatrics, Ste. Justine Hospital, and Dr. Christine Lamontagne, Director, Chronic Pain Services, CHEO. The panel discussion was well attended with twenty Senators in attendance, as well as 6 elected members of parliament, their respective staff, as well as representatives from Health Canada. Members of the CAPHC Board of Directors, and the Pediatric Chairs were also in attendance, as well as invited guests of CAPHC and PCC. In total, there were over sixty delegates at the meeting. legislation coming into force. Greater awareness is required in regard to the risks associated with consumption, addiction and long term impacts on youth in particular. The panel discussion was very well received by those in attendance. The question and answer period which followed formal presentations lasted well over an hour. CAPHC and PCC can be very proud of their role, brokering an evidence based discussion on this issue, as the legislation evolves. We look forward to many more opportunities to influence and educate our most senior decision makers. Many thanks to all those who were involved, including our subject matter experts, and CAPHC/PCC staff. https://soundcloud.com/senator-victor- oh/2018-01- 30-health- implications-of- the-legalization- of-recreational-cannabis-on- children-and- youth.